I love to establish and practice traditions. 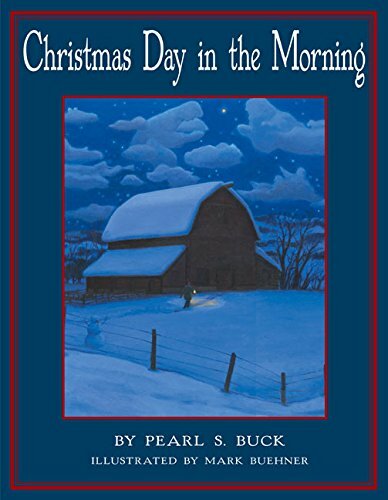 One of my favorite traditions is reading our Christmas books each December. 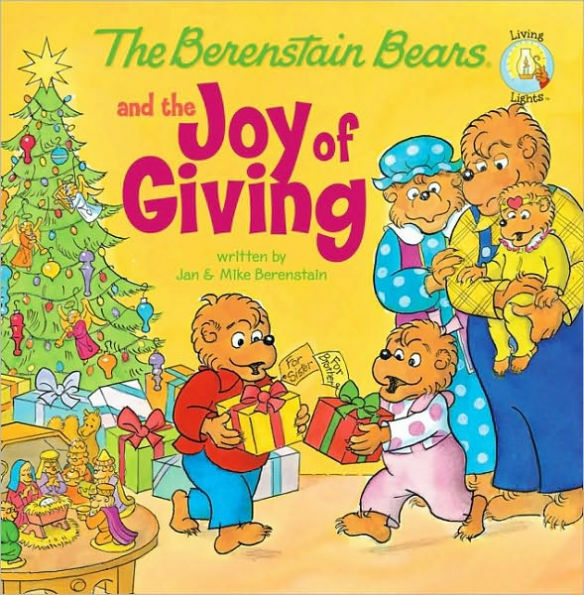 They are enjoyed each year now by my grandson and they bring back memories of which were my children's favorites. I keep a box of Christmas books in the closet and every year right after Thanksgiving, I take out the box and they become the preferred reading with my grandson. At first when I had a grandchild, the box had favorites that I read with my children. But there are lots of new books and a Christmas book collection always needs updating. 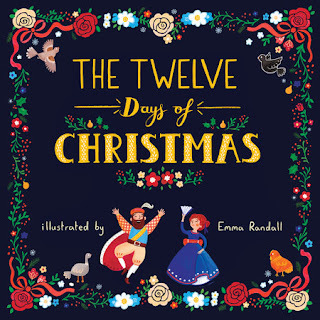 Don’t wait for Christmas to start your library of Christmas books. Kids enjoy reading about Christmas throughout December. There are a couple on this list that I am eyeing for my 2 year old grandson and 1 year old granddaughter. In no particular order, here are some Christmas theme book recommendations. I have chosen these particular books because I think they all have that special something which will make them want to be read every year….even after they are presumably outgrown. But that's not all there is a video to compliment the book at the National Geographic website and on youtube. Check it out here. When my kids were little we celebrated the 12 days of Christmas – exchanging a gift or doing something special every day. So this song and books based on it always have a soft spot in my heart. This hardcover version is a new publication and beautifully illustrated. It will be enjoyed for a lifetime of Christmases and makes for a great family and group read. There is always a lesson in each of the Berenstain Bear books and the stories are always told in such a way that they are enjoyable. Remembering that at Christmas there is joy in giving not just receiving is an important message for us to teach our kids and grandkids. The Llama Llama books are one of my favorite series. And this brand new one is especially cute. 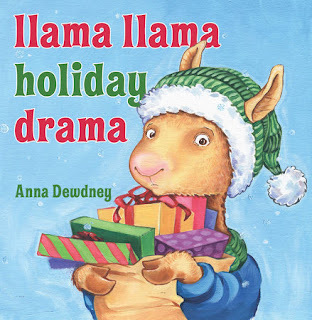 Llama Llama doesn’t like all the waiting for Christmas and is getting impatient. But there is a gentle an loving lesson in values to be told among the beautiful illustrations and fun. 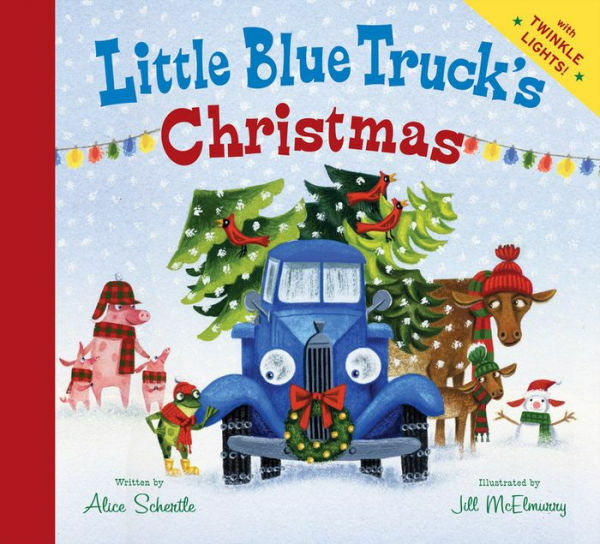 The Little Blue Truck is a favorite book with toddlers and this Christmas version will also be a hit. 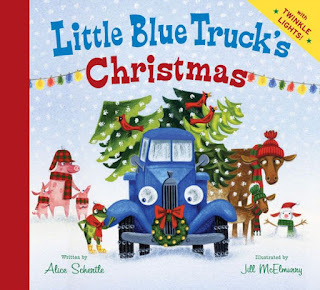 The Little Blue Truck delivers Christmas trees to his animal trees and at the end the lights on the tree light up. Yes there are batteries, but The Little Blue Truck is probably one that you will want to revisit every year. Cat books. They are a staple at school and must have at home. The award winning book series is also now an Amazon TV series. 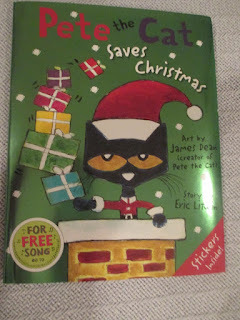 This book tells Twas the Night Before Christmas with a Pete the Cat spin. This book is a guaranteed winner for many years to come. An extra - beautiful foil jacket. I bought this for my grandson when he was in kindergarten and he was super excited to receive it. This classic heartwarming story of a boy with very little money who wants a special gift for his father will come alive in this beautifully illustrated book. This is a book which stands the test of time and will be read every year as a Christmas tradition. You can get all of these books at Amazon. Click on the pictures below to go directly to Amazon.